Megan has served as Grant Committee Chairperson for Meredith’s Miracles since 2012. In this role she receives all grant applications and facilitates the review and awarding of all grants. 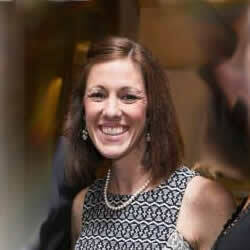 Megan received her Bachelor of Science in Education from Miami University and began her career as a school teacher. She is now married and stays home with her two small children in Columbus, Ohio.